Excellence El Carmen Punta Cana, the name itself conjures up visions of grandeur and exotic splendor. This is more than a beautiful beachfront resort, it is a dream location for a destination wedding. Why? 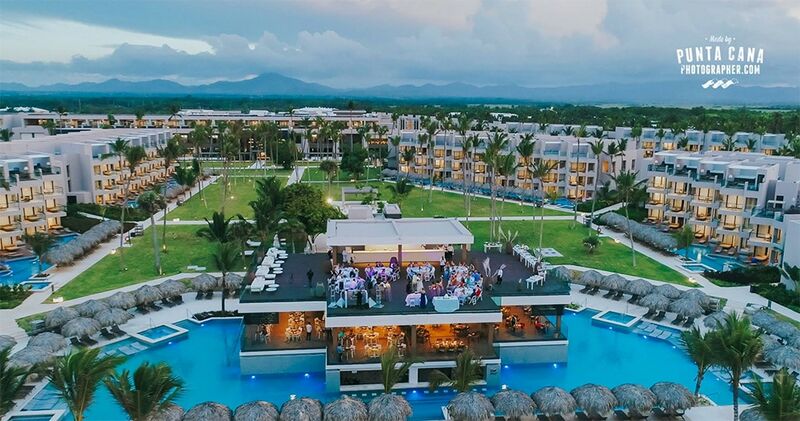 Because modern comforts combine with the exquisite Caribbean design here, making this a must see for any bride looking for a venue in Punta Cana. Everything from the gorgeous beach to the impeccable staff to the delicious food! Have we caught your interest yet? We hope so! If you answered “yes”, then scroll down and see why we think this is the ultimate location for your destination wedding! What is a Caribbean wedding without a beach? This resort is located on one of the most beautiful strips of Uvero Alto here in the Dominican Republic. It is around 40 minutes drive from the airport and it is a brand new resort. With golden sand and clear blue water, this beach offers some of the best backdrops for beachfront weddings. One of the things we love most about the beach in this resort is that is quite secluded. Being located in Uvero Alto you will find that there are fewer people than in the Bavaro area, so you can forget about the curious tourists in their swimsuits peeking on your ceremony and decorating the background of your wedding photos. When it comes to your wedding photos, the amount of palm trees and other trees that grow in the area will look perfect and provide you with some shade if you are doing an early ceremony. But even better if you are able to get some photos by sunset, the light could not be better! Definitely important (for us) to have these elements to make your wedding photos look their best. Now, when all of your guests are gone and you start your honeymoon, be prepared to lay in a bed and enjoy the clear blue Caribbean waters! The wedding packages are another great thing offered by the resort. We love them because the resort does everything they can to make your wedding run as smoothly as possible. 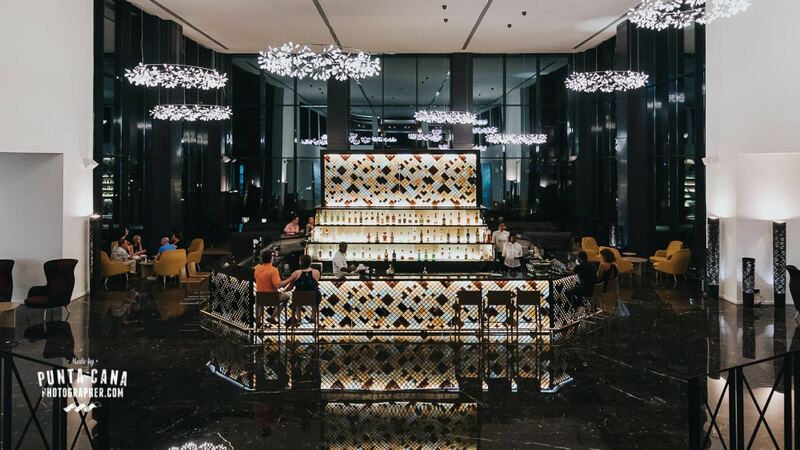 Since it is a brand new resort, their offers may be a little lower than other hotels, but they are just as good if not better! Some of the best things about their packages are that they offer flowers, massages, wonderful decorations, and everything to make your wedding more enjoyable. There are several options to look at and benefits to each package, but they start as low as 850 USD! To find out more you can visit their website or get in touch with one of their wedding planners. If you want to have a look at a full wedding done at Excellence El Carmen Punta Cana, you can check Harold & Kristen’s Wedding here. If you have ever planned a big event at a venue, then you know how important it is to have a helpful staff. In fact, having kind and serviceable staff members can make or break your experience! This is one of the reasons that we love this resort! Being at Excellence El Carmen is like being surrounded by family. The staff is incredibly friendly, so friendly in fact, that we were sad to say “goodbye” at the end of the day having been there for so many hours! Everyone was helpful, kind, and very entertaining. Every need was met; they really go above and beyond for their guests. If we had to choose one of our favorite things about the resort, and why we highly recommend it, the staff would be one of our top reasons! So, when it comes the time for you to speak with management or caterers, know that you will have their full support and that they will do everything they can to make your wedding day a success! Because the resort is brand new, the rooms, pools, and the general aspect of it is modern, clean and of course, perfect for wedding photos! Beautiful textures, clean spaces, and organic colors are a perfect combination and every photographer’s dream. One of our favorite places in the resort is the rooftop terrace, where you can have your reception while enjoying the incredible view. We know that there are a lot of options for a beach wedding in Punta Cana, and we have photographed at almost every resort here. Each place has something beautiful and unique to it. One of the most beautiful and unique things about Excellence El Carmen is their commitment to their guests. As if beautiful scenery and excellent food weren’t enough, they have truly thought of everything. Happy wedding planning!